Or should that be Red Hair. And how to maintain it. Now I’m not going to pretend I’m a hair guru or anything like that, and this post will lack in good pictures I’m afraid (I DO dislike when there aren’t many pictures on blog posts!) But I thought I would share a few hints and tips for maintaining your hair colour. In particular red shades, as that is what mine has been for over 9 years now. 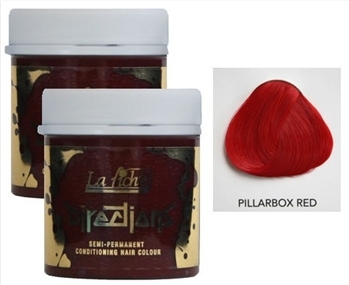 A lot of people cannot be bothered with the maintenance of red hair. And I admit it is a massive ball ache at times. So first of all you need to be patient and don’t expect that ‘just coloured’ red tone to last forever because after about 3 weeks it does fade. Also do not expect to get the exact colour on the box either! 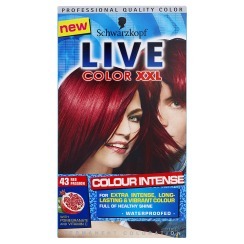 And remember a £5 box of dye is never going to make you look like Hayley Williams. Soz. Like I said, the LIVE colours have such a good variation. Some can go a little more of a purple tone than a red and others a more orangey one, nevertheless you can probably find the colour to suit you. The Real Red does go slightly more orange, which I prefer. 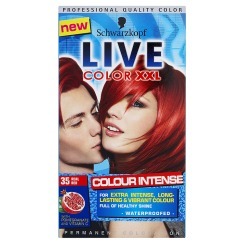 It also lightens your hair as it colours, which makes mine more red. Although this also damages your hair a little more too in the process. I always tend to go back to the Real Red colour, but lately I’ve been settling for the non lightening dyes to try and be nicer to my hair for a bit to stop it breaking off so much! Overall I just use these permanent dyes as a base for my hair colour as the temporary ones I use in between don’t take to my roots. So I refresh it every 6-7 weeks and get those roots covered up…. So what to do in between the permanent dye to keep your colour fresh? With the La Riche Directions you can only use the colour swatch as a guide. These will go a slightly different tone and shade on everyone’s hair. Because mine is already a little bit darker this goes nowhere near as vivid as the swatch. But it does an incredible job of keeping my red hair looking healthy and as red as possible. They also condition your hair so the longer you leave it on the better. I tend to leave mine for around 2 hours. It is a very messy process and even after years of practice I still never fail to get it everywhere. I accidentally used the Poppy Red in the range this time and it’s been nowhere near as vivid or long lasting as Pillarbox. I have also tried Flame which made little difference on my hair at all! I picked it up from Home Bargains for about £2, its a really quick and simple way to refresh your hair and leaves it feeling really soft and smooth too. I just follow it from my shampoo in the shower and rinse it off just before I get out. Its a lot less messy, I just hope they still have it in stock when I go back so I can get some more. 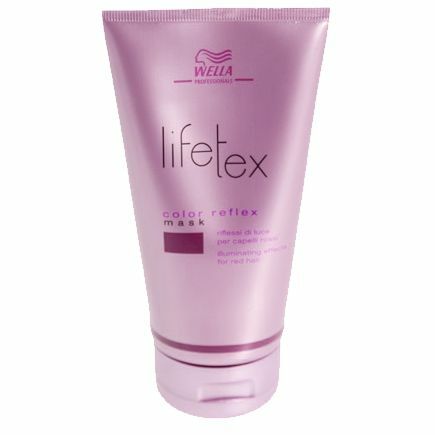 You can use a semi permanent dye a few days before a permanent colour to help the permanent colour to last longer. Don’t use shampoo and conditioner such as Head and Shoulders or Vosene as these strip the colour of your hair. Try and wash your hair as little as possible, stick to once or twice a week instead of every day. Don’t use straighteners on a daily basis, they damage your hair and make it more porous meaning the colour fades quicker. I’m currently on a hair straightening strike and have seen my hairs condition improve so much over the past few weeks. If I think of anything else then I shall add it, but for now here are the products I use to maintain my own. If anyone has their own hints or tips please feel free to add to the comment box! !